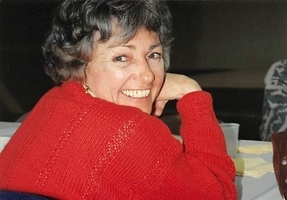 Provide comfort for the family of Dorothy Mooney with a meaningful gesture of sympathy. 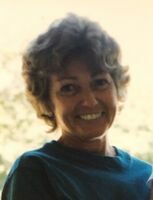 CHELMSFORD - Dorothy N. (Berg) Mooney, 74, a longtime resident of Westford, passed away at Lowell General Hospital on Thursday, March 28, 2019. 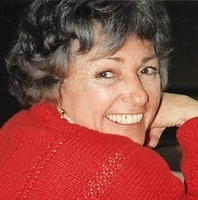 She was the beloved wife of the late Richard J. Mooney who died in 2014. Born in Winchester, MA on April 16, 1944, she was a daughter of the late Walter N. and Dorothy M. (MacSavaney) Berg. She was raised in Lexington. Dorothy was an avid reader and a member of the J.V. Fletcher Library in Westford. She enjoyed history and proudly considered herself a Civil War buff. She was a very talented artist, enjoyed gardening and taking walks through the East Boston Camps in Westford. She was an animal lover and over the years had rescued many animals. She enjoyed bird watching, was a member of the Audubon Society and wrote wildlife updates for the Westford Eagle. Due to her love of horses, Dorothy spent many years with the Stoneybrook 4-H in Westford, MA. Dorothy is survived and will be deeply missed by her daughters, Erin and her husband, Stanley DeCoste of Lancaster, MA, Kelly and her husband, Mitch Breen of West Townsend, MA and Kerri Slattery of Tewksbury, MA. She also leaves behind her grandchildren, Casey, Bailey, Jessey, Gavin, Hannah and Ayla. She is predeceased by her sister Carol and her husband Jim Ramich, Margie Hayford and her son-in-law Patrick Slattery. Visiting hours will be held on Sunday, April 7, 2019 from 1 - 4 pm at the Blake Chelmsford Funeral Home, 24 Worthen Street, Chelmsford. In lieu of flowers, memorial donations in Dorothy's name may be made to Forgotten Angels Shelter, Inc., P. O. Box 112, Westford, MA 01886. To plant a memorial tree in honor of Dorothy Noren Mooney (Berg), please visit our Heartfelt Sympathies Store.